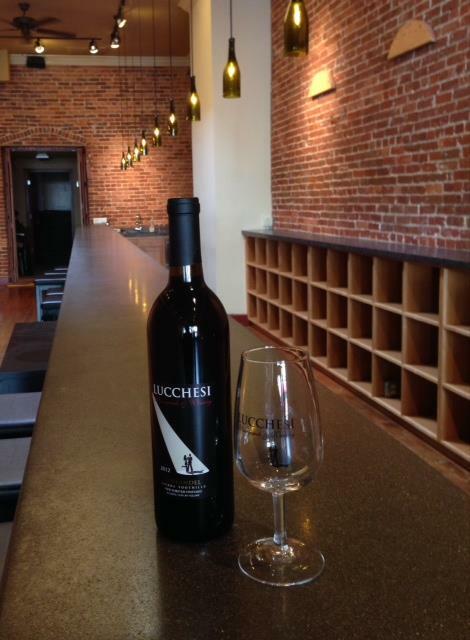 The winemaker has expanded to a larger wine tasting room in downtown Grass Valley. It has moved to 128 Mill Street from its longtime location at 167 Mill Street, next to the Del Oro Theatre. It is occupying a restored, Gold Rush-era building formerly home to the Grass Valley Wine Co. Artists’ Studio in the Foothills, or ASiF, plans to present regular art exhibits at Lucchesi’s tasting room. Sierra Starr Vineyards has been expanding its distribution to include Corti Brothers Market in Sacramento, a high achievement. Corti Bros., founded in 1947, is a premier food and wine store. Owner Darrell Corti is among the region’s most knowledgeable wine experts. The winery previously had added New Earth Market in Yuba City. Two award-winning wineries in Placer County have opened new or remodeled tasting rooms to enjoy wine touring in the foothills. Secret Ravine’s newly remodeled Tuscan-style tasting room offers many wines aged for a minimum of two years in oak. New releases are set for the holidays—2010 House Red and 2011 Miner’s Red (both are blends). Visit Le Casque’s new tasting room at the Flower Farm in Loomis. During the holiday season, many entertainers use wine decanters for special occassions. Tess’ Kitchen Store sells a practical gadget that helps with the cleanup: A wine decanter brush with a flexible wand that allows you to clean any size or shape decanter, often a frustrating task. Gallicchio Glass also sells a hand-blown wine aerator (GallicchioGlass.com).